Are you looking to get hold of the new Android 9.0 update? A good few devices are rolling it out, and whether you have a new Samsung phone or even one of the Nokia ones that the company has launched in Asia, you can be sure to try your hands on the new Android OS soon. As it has been with other versions of Android, the whole process of migrating from the existing versions of Android to the new version will take a few months. If your device is too old to get one, you can upgrade to one for a few hundred bucks, but the question remains – is an Android P download worth it? In this article, we will try and have a look at the various Android P features, and whether it’s a good idea to upgrade to the latest Android version. 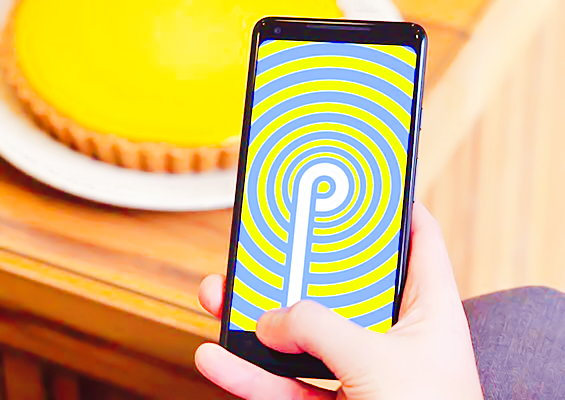 When you eventually get to download Android Pie there are a few things which we are sure will be of interest to you. The sharp edges that were part of the previous versions of Android may soon become history. When you decide to install Android Pie, you certainly will be in for some pleasant surprise. The entire interface is expected to look rounder, and the notification will also come with rounded edges. You will also like the quick-settings tiles. They are cleaner, and the pie-shaped circles will certainly be a big takeaway. The Settings app also is likely to see quite a few changes, and it has been revamped quite a bit. You will find it quite colorful and again it will come with a rounded interface. You will find the entire OS fluid, easier to use and friendlier. 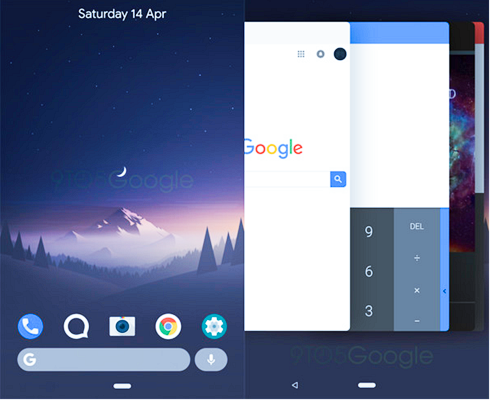 It would perhaps be pertinent to mention here that the navigation menu of the Android 9 Pie will most probably see some of the most drastic changes. The navigation buttons which were there in the previous versions will no longer be there. They will mostly be replaced with a small pill-shaped icon. 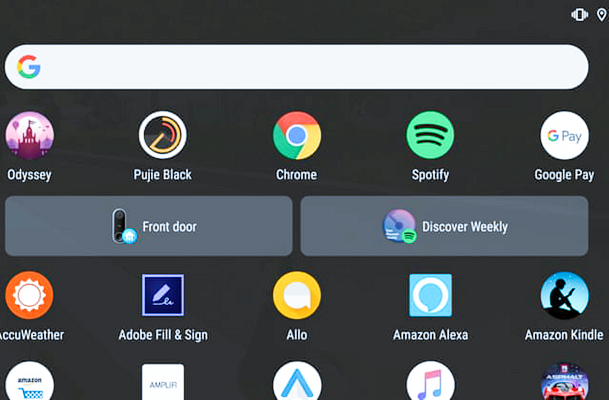 When you have a closer look at this, and other vital Android P features you will realize that Android is trying to move closer to other apps like iPhone and iOS. This in keeping with the focus of gesture navigation and the latest Android versions would most certainly have it in good measure. However, the proof of the pudding will lie in the eating. Google has already tried the pie, and there are many who feel that they have not been able to do a good job of it. Many users though think it is half baked, to say the least. So, until we can see the full Android 9 features, we will not be in a position to comment more about it. You may want to spend some more time getting to know more about the pill icon. While the pill-shaped icon might work the same way as the good old home button, you have to keep the home button pressed. Only then will you be able to open the various menu options. Once you get into the app, you will have the back button appearing on the home button. It works almost the same as before, but the shape of the button is angular, and it also is smaller in size. Now that we looked at all the things you will love about the Android P let’s take a look at a few things that do not work out as well. When you get Android Pie update, you can also be in for some small disappointments. It will not have the recent button. This was quite helpful in having a look at the recently opened applications. However, there is a way by which you can still do it as far as the Android 9 update is concerned. You can access them by dragging the home button to the right. This will help you to switch back and go to the previous app. If you press and hold it to the right, you also will be able to have a look at all the various recent applications that you may have used. You can also have a look at the full list of all recent apps. You also can force close some or all of them. For this, you have to do a half-swipe and do it from the bottom of the screen. A full swipe would not be needed unless you wish to open the app drawer. Whether it is about accessing the app drawer or having a look at the recently used apps, the half swipe, and full swipe is something new. It certainly requires some effort and the first few days you could be struggling with it. Keep this point in mind when you go in for the Android p download. For many, the half swipe can be disturbing, and many believe that finding a recently opened app could take quite a bit of time when compared to the previous Android versions. It also displays only fewer app, and you need to scroll to find the one you are looking for. When you have many apps installed in your mobile, scrolling and finding the right app could take some bit of time, and this could be irritating for many. It also comes with a brand new brightness slider. This helps you to learn more about the new app. If you look at the Android P update mobile list, you will be able to know more about the brightness, actions, and other such attributes. The screen will automatically adjust to ambient light, and it has been so with many of the earlier versions also. Now, it comes with a new addition referred to as Adaptive Brightness which helps the end users to store some changes that they make using the manual mode on a daily basis. In other words, you would not have to take the trouble of changing brightness manually all the time. Once it has been done, the changes will get saved unless you override it manually. It’s sure to be one feature that users will love. Though the exact Android 9 release date is not known, it doesn’t stop people from being excited about it. Android has always handled notifications very well. In fact, Apple and others have taken a few pages out of Android. The latest Android version will now have smart replies, and the same will be baked into the notifications. These are nothing but replies that are prepackaged, and you have the liberty of sending replies without wasting too much time based on the way in which you typically reply. These could be best suited for those who are apt at sending canned and short responses especially when people are busy. However, these are still early days, and this feature may not work will all apps just as yet. Hence, it needs some more time before we are actually able to find out more about the uses or otherwise of this feature. Should You Get Android Pie Update? There is no denying the fact that this is an update that you certainly would want. It’s got newer features, and an entirely new way to experience your Android phone. We wouldn’t want you to upgrade to a newer phone, but if you got a device that can get the Android P, you would surely be looking at the launch date with keen interest. Tip: Upgrading your phone system may result in data loss. If you encounter this situation, please use our professional data recovery software to recover lost data.